Munich, Germany, 20 October 2018 – Epigenetic therapy with histone deacetylase (HDAC) inhibitors is worth pursuing in hormone receptor positive advanced breast cancer, suggests a phase III trial (1) reported today at the ESMO 2018 Congress in Munich. Endocrine therapies are the foundation of treatment for patients with hormone receptor positive breast cancer. However, resistance to endocrine therapy is common, leading to disease progression or recurrence. HDAC inhibitors are a type of epigenetic therapy, meaning that they can switch genes on or off without changing the underlying DNA sequence. HDAC inhibitors have previously been shown to reverse resistance to hormone therapy. (2) But no randomised trial has so far demonstrated superiority with an HDAC inhibitor over existing treatments in advanced breast cancer. This phase III trial used chidamide, an HDAC inhibitor developed in China. The study enrolled 365 postmenopausal women with hormone receptor positive, HER2-negative advanced breast cancer from 22 centres in China. Patients had progressed on previous endocrine therapy (tamoxifen and/or a nonsteroidal aromatase inhibitor). Patients were randomly allocated in a 2:1 ratio to receive chidamide 30 mg twice a week plus endocrine therapy with exemestane 25 mg daily (a steroidal aromatase inhibitor) or placebo plus exemestane. The median progression free survival was 7.4 months with chidamide plus exemestane and 3.8 months with placebo plus exemestane (hazard ratio for disease progression or death 0.755, 95% confidence interval 0.582-0.978, p=0.0336). 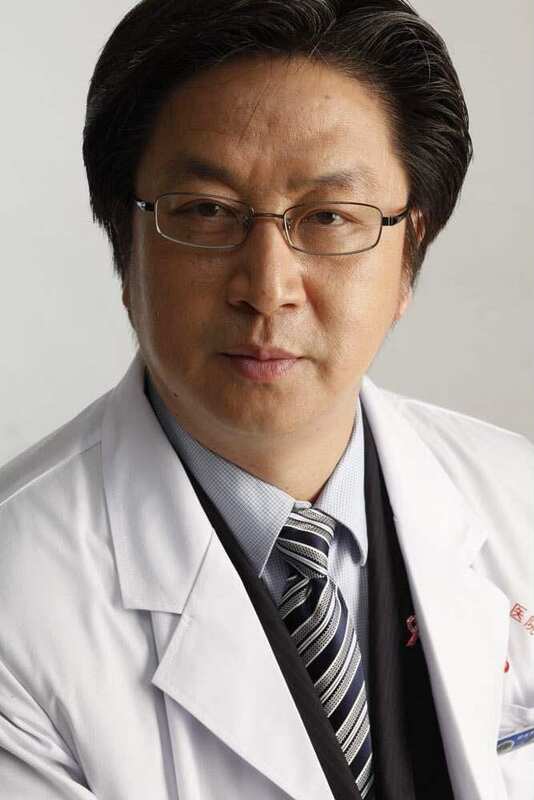 Prof. Zefei Jiang, Director of the Department of Breast Cancer, 307th Hospital of PLA (AMMS China) in Beijing, China, said: "This is the first phase III trial to demonstrate that an HDAC inhibitor plus endocrine blockade improves progression free survival compared to endocrine blockade alone in hormone receptor positive advanced breast cancer patients who have progressed after prior endocrine therapy." Serious adverse events occurred in 51 (20.9%) patients in the chidamide group and seven (5.8%) in the placebo group. These included reduced blood levels of neutrophils (50.8% versus 2.5%), platelets (27.5% versus 2.5%), and leukocytes (18.8% versus 2.5%) in the chidamide and placebo groups, respectively. There were no deaths due to chidamide. Quality of life with the drug was not measured in the study, but Jiang said: "The treatment regimen was generally well tolerated and toxicities were similar to those previously observed with chidamide monotherapy. The most common adverse events were blood disorders which were mostly asymptomatic and manageable." Commenting on the study, Dr. Suzette Delaloge, Head, Breast Cancer Group, Institut Gustave Roussy, Paris, France, said: "This is the first randomised phase III trial to reach a positive result with an HDAC inhibitor in advanced breast cancer. It suggests that there may be some hope for this type of drug in these patients, since until now the only positive results have been in earlier stage breast cancer." Delaloge said the findings should prompt more research on HDAC inhibitors in patients with advanced breast cancer. She said: "Studies are needed in Western populations comparing an HDAC inhibitor to the standard of care, which is the combination of endocrine therapy plus an m-TOR inhibitor (everolimus) or the combination of an endocrine therapy plus a CDK4/6 inhibitor." On top of this trial, two ongoing phase III studies are comparing exemestane plus the HDAC inhibitor entinostat versus exemestane plus placebo. One trial is being conducted in the US (NCT02115282) and plans to complete in 2021, while the other trial is being run in China (NCT03538171) and is set to finish in 2020. Munster PN, Thurn KT, Thomas S, et al. A phase II study of the histone deacetylase inhibitor vorinostat combined with tamoxifen for the treatment of patients with hormone therapy-resistant breast cancer. Br J Cancer. 2011;104(12):1828-1835. doi: 10.1038/bjc.2011.156. Epub 2011 May 10. Background: Chidamide (CS055/Tucidinostat/Epidaza®) is an oral subtype-selective HDAC inhibitor. An exploratory clinical study has demonstrated the encouraging antitumor activity of chidamide in combination with exemestane in hormone receptor (HR)-positive advanced breast cancer (ABC) patients. Methods: This randomized, double-blind, placebo-controlled study involved postmenopausal patients with HR-positive, HER2-negative ABC that had failed with tamoxifen and/or nonsteroidal aromatase inhibitor. Eligible patients were randomly assigned (2:1) to two arms (chidamide 30 mg twice a week plus exemestane 25 mg daily or placebo plus exemestane). The primary endpoint was progression-free survival (PFS), assessed by investigator. Secondary endpoints were overall survival (OS), objective response rate (ORR), clinical benefit rate (CBR), and safety. Results: 365 patients were enrolled at 22 centers in China, with 244 in the chidamide group and 121 in the placebo group. The median PFS was 7.4 months [95% confidence interval (CI), 5.5 to 9.2] with chidamide-exemestane and 3.8 months (95% CI, 3.7 to 5.5) with placebo-exemestane (hazard ratio for disease progression or death, 0.755; 95% CI, 0.582 to 0.978; P=0.0336). ORR were 18.4% and 9.1 (P=0.026), and CBR were 46.7% and 35.5% (P=0.034) in the chidamide group and placebo group, respectively. Overall survival results were not mature at the time of the analysis. The most common grade 3 or 4 adverse events (AE) in the chidamide group were neutropenia (50.8% vs. 2.5% in the placebo group), thrombocytopenia (27.5% vs. 2.5%), and leucopenia (18.8% vs. 2.5%). Serious adverse events occurred in 51 (20.9%) patients in the chidamide group and 7 (5.8%) patients in the placebo group. No treatment-related death was reported. Conclusions: This is the first oral HDAC inhibitor combined with exemestane in a pivotal clinical study to demonstrate PFS benefit and manageable adverse effect in HR-positive ABC patients progressed after prior endocrine therapy. Legal entity responsible for the study: Jiang Zefei. Funding: Chipscreen Biosciences Co., Ltd.